Hello! 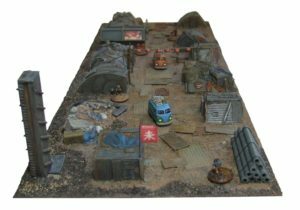 Today we are joined by Michael Stockin of Angel Barracks and The Wargames Website. Get your paints out, have a seat and enjoy! Hmmm my dad had a large model railway in the loft and I would push 1/72nd WWII tanks around on it. One day I went with him to Beatties (model shop) and just a few doors down I noticed some place called Games Workshop. Back then it was a small chain of true independent games shops. I bought some Imperial Dwarves and Barbarians and took them home and started work painting them with my Humbrol enamels. Not long after that I bought Citadel acrylics and Warhammer Fantasy Battle, 2nd edition I think it was. How much of your time is spent playing board games vs. miniatures or RPGS? These days it is 80% video games, 15% CCGs and the rest wargames/board games. I have not done any roleplaying in about 25 years or more. 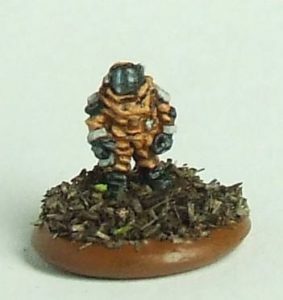 When did you decide to start making miniatures and why? 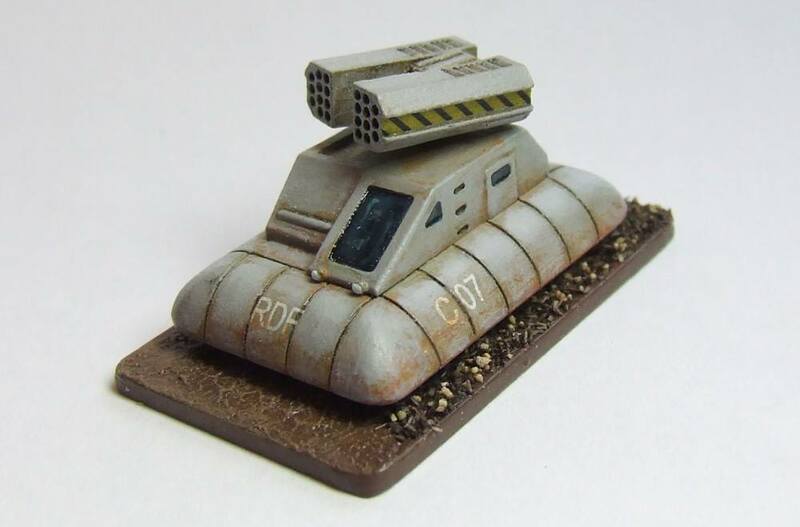 It was after 6 years of Angel Barracks being just historical and I started to get a bit bored and eventually settled on trying 6mm sci-fi skirmish as a new thing. Skirmish games are quite different in that things like small details are important. So I reached out and got some alien creatures sculpted and cast up. They were well received, possibly as I was the first to do them? Then I realized I needed sci-fi civilians, again I could not find any so again got some made and cast, again well received. So I decided to stop selling other people’s 6mm sci-fi and concentrate on making my own. It started off, and continues today as me making things that are mostly not out there already, and things I think are cool. What do you mean Angel Barracks was more historical? It started off as noted, with £300.00 of investment, this was £150.00 of dice and paints and £150.00 of 6mm Napoleonic’s stock. From here it expanded to over 2500 products, the miniatures side of which was probably about 90% Napoleonic figures and buildings, with the rest being WWII. How did you start Angel Barracks? In my 20’s I drifted out of gaming and into girls and booze and work and stuff. When I got together with Samantha, and after we had been together long enough for me to talk about my nerdy gaming roots she totally got it, as she was a nerd too. She grew up around her older brother who was a big gamer. I said I may get back into gaming. So, I looked around for a single point of contact where I could buy everything I needed to get started and I found nowhere. I wanted, 6mm figures, 6mm buildings, 6mm terrain, paints, dice, rules, brushes, etc. So with her encouragement and £300.00 I set up Angel Barracks. What about the Wargames Website? As you know, I used to be an advertiser on TMP. I eventually tired of the site for numerous reasons and thought there must be a better way to do it. So I set up TWW, its aim to offer a pleasant gaming site with fair and consistent moderation and respect for all. I also wanted to make sure that those that advertised on TWW, were treated with respect and some degree of professionalism. That is not to say it is all about business lunches and sir and madam, but having been on the receiving end of poor customer service I wanted to make sure I offered a caring efficient service on a modern platform. You’ve primarily been doing Sci-Fi miniatures, but recently not only are breaking into fantasy, but also are going from 6mm to 15mm. What prompted that? Not sure, I had a hankering for some fantasy games, it was where I started wargaming, and roleplaying for that matter. I did consider doing it in 6mm, but I think there is an element of because I do 6mm for my ‘job’ that doing it for fun seems less likely. So 6mm fantasy was out, and I just thought, why not play some 15mm. Then I thought, well I am going to need some terrain and buuldings and what not, so rather than just make some for myself, why not cast them up and sell them too? When will your fantasy miniatures be available to purchase? What have been the biggest challenges in running your own business? Making enough money to pay the rent. Having to stop working during the school holidays or when Charlotte is off school. Trying to keep everything compliant with the law. 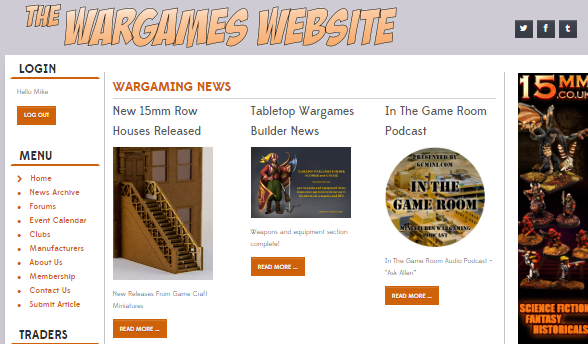 Trying to convince people to try The Wargames Website, the number one reason people give me for not using it is that it is not as busy as say TMP. For various reasons this bothers me. Money, that is why I do it. Then it is seeing people take my stuff and run with it, I have seen some very cool settings with my 6mm sci-fi. It is nice to see your creations be as exciting to others as they are to you. What do your miniatures offer that other don’t? I think they have a lot of detail for their size, the buildings especially. I also offer a lot of stuff that other people don’t, a different conceptual style so to speak. I would guess the majority of 6mm sci-fi buildings are desert or Gothic terrain, mine are not. Plus as my games are skirmished based, each building has its own story about who lives there and what it does. What rules set do you use for your miniatures? For my 6mm sci-fi I use my own rules, KR 16. For the 15mm fantasy I will be using Crom. Where can people find your rules? What is the gaming scene like where you are? Very vibrant, but I don’t get out much so have no first-hand experience of it, I am just aware of numerous clubs and so forth. My daughter plays the odd boardgame and the Pokemon CCG. My wife works a lot and is often away from home so she gets to play less than I do. However, the fantasy thing is an attempt to rectify that. If you were a candy bar, what kind of candy bar would you be? Another picture related to Takenoko Chibis. Kraftwagen should be available soon. Guillotine Games has announced Zombicide Black Plague. Dragon Tides will be released in July. Pretzel Games plans to make only dexterity games. Terminator Genisys will have a miniatures game.